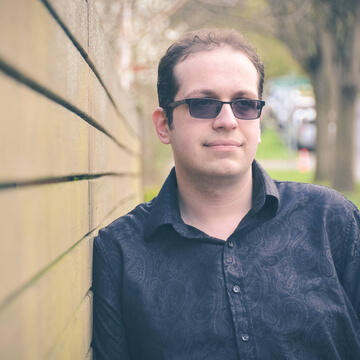 My name is Jack, I'm a college grad from the University of Washington and I'm a reviewer at Techraptor! I've loved games my entire life, mostly Nintendo but I broadened out to Playstation and PC as well. Dragon Ball Xenoverse 2 makes masssive improvements over it's predecessor but suffers from a lack of originality in the long run. It feels more like an extension of Xenoverse rather than a sequel. The Odd Gentlemen's King's Quest has a hard time determining what it wants to be at the start. By the end of the series, it's the story that stands out more than the gameplay, and the story they have to tell is an excellent one. King's Quest continues to show it's love for the original games, but it fails in the gameplay department. It lacks any real adventure style gameplay and is padded out with two dimensional puzzles and rehashed gameplay. Aragami has an interesting style and has truly captured the essence of the stealth genre. However, it has too many elements that hold it back from being a great game. Tick Tock Isle is a great start to what could be a fantastic game, but as it is it's fairly average. Out of place platforming and a lacking story hold Tick Tock Isle back from what is otherwise a solid (but short) adventure game. While Tokyo Mirage Sessions is only going to appeal to a niche audience, it's a solid enough JRPG in its own right that it's worth checking out even if you're not a fan of either SMT or FE. However if you're in it for the story, you're likely to be disappointed. Once Upon a Climb brings back the charm that episode 2 of King's Quest lacked. It's a great new addition to the reboot of this classic franchise. It's fun, it's beautiful and I highly recommend it. Fans of HuniePop will like this game, and people who like time management games will love HunieCam Studio. It's a game with lots of replayability and it's a creative take on a real life industry.